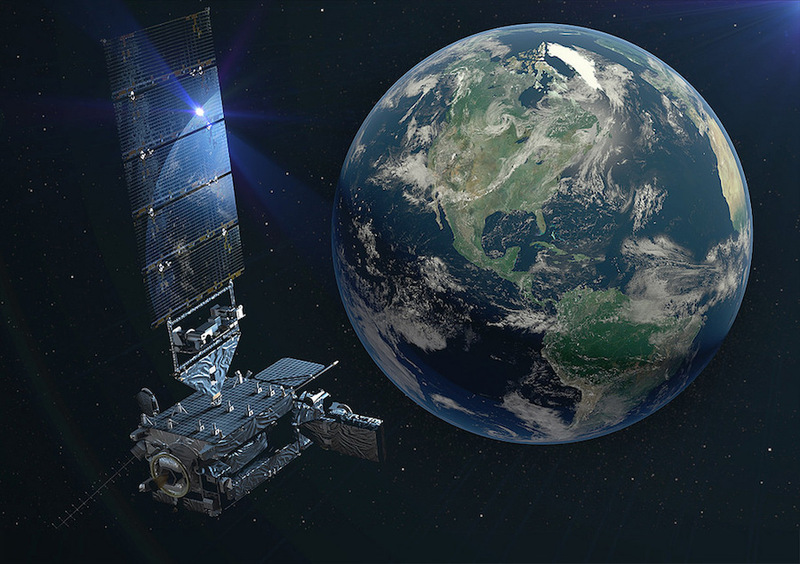 NOAA traditionally switches from a letter to a number designation for its weather satellites after they reach their operational geostationary orbit. This time, the GOES-S satellite became GOES-17. GOES-17 will begin collecting operational weather data over the western United States and the Pacific Ocean before the end of 2018, officials said. 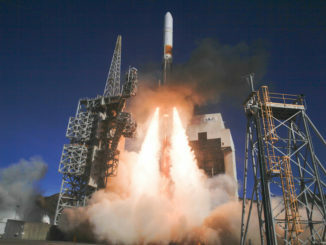 Since its liftoff March 1 aboard a United Launch Alliance Atlas 5 rocket, the GOES-S satellite has fired its Japanese-built main engine several times to circularize its orbit from an initial elliptical transfer orbit to a circular perch nearly 22,300 miles (35,800 kilometers) above the equator. At that altitude, the spacecraft’s movement maintains pace with Earth’s rotation, giving it a fixed field-of-view. GOES-17 should complete its final deployments in the coming days, beginning with the second stage unfurling of its solar arrays Tuesday. The power-generating solar wing completed an initial deployment step a few hours after launch. 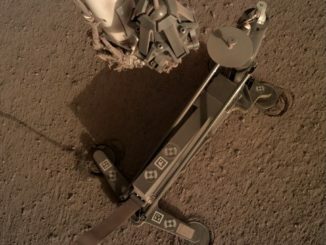 Manufactured by Lockheed Martin, the satellite will also extend antennas to transmit and receive X-band, S-band and L-band signals, and finally deploy a magnetometer boom fitted with sensors to measure the magnetic field around the satellite, data that could help predict geomagnetic storms and other space weather disruptions. GOES-17 will maneuver into a checkout position in geostationary orbit at 89.5 degrees west longitude later this month. 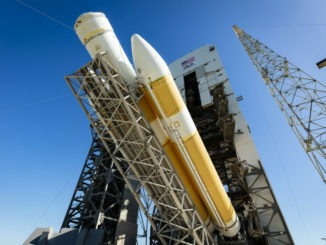 Post-launch testing and calibration should begin March 26, and the first imagery from GOES-17 is expected in mid-May, NOAA said. NOAA’s newest weather satellite joins an identical craft named GOES-16, which launched in November 2016 and entered service in the GOES East position in December, providing real-time weather imagery over the eastern United States and hurricane zones in the Atlantic Ocean, Gulf of Mexico and Caribbean Sea. With GOES-16 and GOES-17 operating in tandem, forecasters will have sharper, more frequent views of storms, fog, wildfires and other phenomena ranging from New Zealand to the west coast of Africa. The latest pair of GOES weather satellites, plus two more due for launch in 2020 and 2024, carry upgraded imagers that can see clouds, lightning, fog, smoke and ash in the atmosphere in much greater resolution and spectral detail than earlier weather observatories. The imagers also return pictures of storms with greater frequency — as often as every 30 seconds.